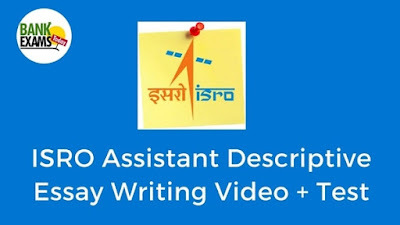 This is to inform all the students who enrolled for our 30-Days Crash Course For ISRO Assistant Exam that we have uploaded the First Video Lecture on Descriptive Exam on Essay Writing. Along with the video lecture, a test is also given that you have to take and submit your answers. We will check the all tests manually, you will get your score within 24 hours.